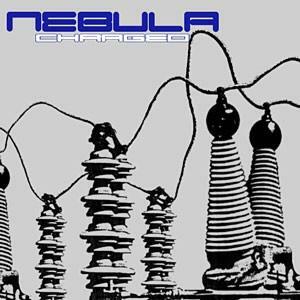 Nebula may not be as lyrically clever or musically inventive as other better known stoner metal bands like Monster Magnet, but what they do offer on their new album is monstrous, bruising Black Sabbath-style riffs, catchy grooves, and raw, psychedelic energy to spare, of the kind The Blue Cheer used to give us in the 1960's. Former Fu Manchu players Eddie Glass (guitar, vocals, keys) and Ruben Romano (drums, vocals, keys) hooked up with bassist Mark Abshire to continue their previous band's pursuit of the stoner aesthetic. On this, their second full-length release, they do it in fine fashion, from the thunderous opening anthemic rocker, Do It Now, to the acoustically driven This One, certainly the best track on the album. The band even takes a little time to delve into some all too brief acoustic, ethnically flavored jams like the intros to Instant Gravitation and Goodbye Yesterday. In fact, I would have liked to have heard a little more of this on the album, because the one thing Nebula does exceedingly well is to find a good groove and to hang-on to it. Small quibbles aside, this is definitely a band to watch, and the aptly titled Charged is as good as any album to start with. Monster Magnet may have ushered in the genre of stoner metal in the 90's, but it will bands like Nebula that will be driving it headlong into the 21st century. For more information you can visit the Nebula web site at: http://www.nebulamusic.com.